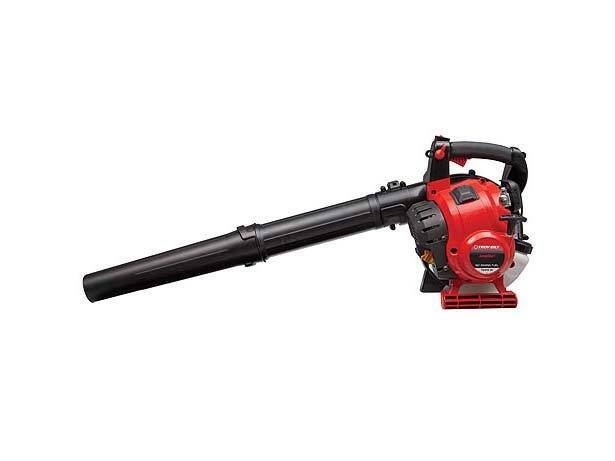 Clean up fall leaves quickly and easily with Troy-Bilt's TB4HB EC gas leaf blower. Or use this powerful, electric start capable four-cycle leaf blower in the spring and summer for all-purpose clean-up of yard debris, dust and dirt on decks, sidewalks, etc. The TB4HB EC features a 25 cc, four-cycle engine with up to 150 mph airflow velocity.